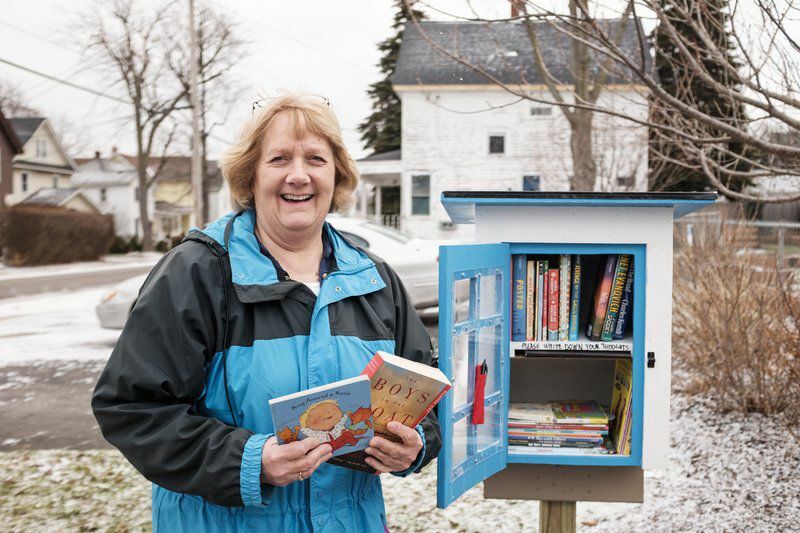 The Niagara Frontier Reading Council dedicated Little Free Library (LFL) in West Seneca. 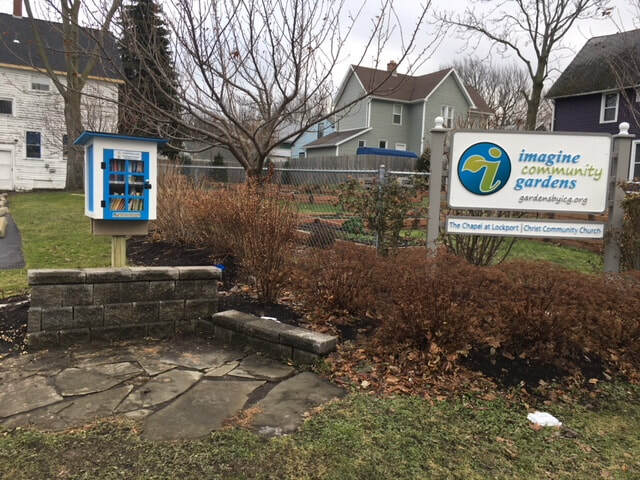 You can find the LFL at the Imagine Community Garden at 2784 Seneca St. near the corner of Seneca St. and Harlem Rd in West Seneca. Former NFRC President, Liz Tynan Liz is overseeing the maintenance and stocking of this LFL. Duncan is a Life Scout in Troop 229 out of Thomas Edison Elementary School in Tonawanda, led by Scoutmaster Christopher Antholzner. He is a senior at North Tonawanda High School and an Honor Student in the Welding program at Niagara Orleans BOCES. His plan after high school is to continue his training in welding at Niagara County Community College, earning an Associates in Applied Science degree. 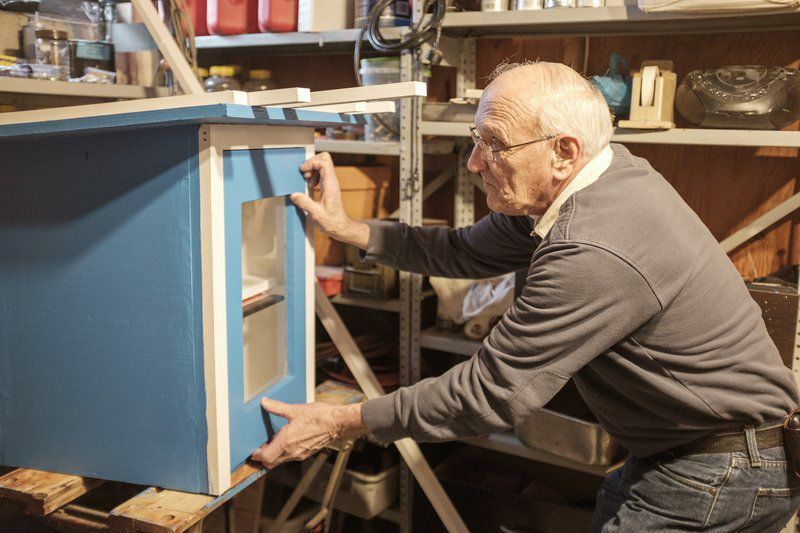 He planned, organized, and had the Little Free Library built and installed that will serve as a resource for the Gratwick section of North Tonawanda. As a young boy, Duncan was intimidated by chapter books. When he discovered Diary of a Wimpy Kid, Duncan managed to overcome his dislike for reading. He went on to read other chapter books and has been an avid reader ever since. When a request to build Little Free Libraries was received by the Troop, Duncan saw this as a chance to provide kids like him the opportunity to see the world through reading. One of the most successful ways to improve the reading achievement of children and foster a love of reading is to increase their access to books, especially at home. But according to the U.S. Department of Education, up to 61% of low-income families have no books for kids in their homes. 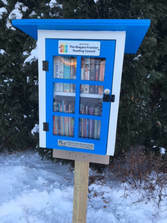 Little Free Libraries (https://littlefreelibrary.org/) is a nationally prominent nonprofit literacy initiative that "inspires a love of reading, builds community, and sparks creativity by fostering neighborhood book exchanges.” Their aim is to provide access to books 24/7 in areas where books are scarce. How is this accomplished? By placing attractive, free-standing kiosks in accessible areas and inviting anyone to take a book or donate a book for others to enjoy. 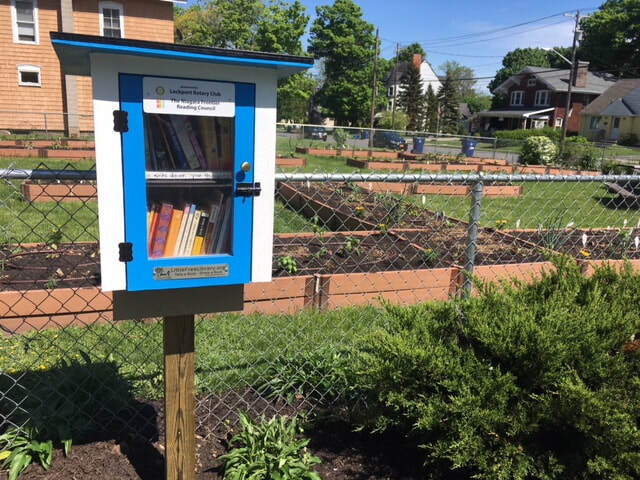 And now the NFRC is working to join in by establishing Little Free Libraries in areas of need throughout our community—from Buffalo to Niagara Falls, from Lackawanna to Lockport, and everywhere in between. ​If you are willing to help the NFRC establish little free libraries locally by assisting in building a little free library, securing a site, donating to our local initiative, or if you simply wish to offer suggestions, please contact Judy Bradbury at judybradburywrites@gmail.com. Click here to read a news article about the project. If you are interested in making a donation to support this project, visit our donations page HERE! The first NFRC's first Little Free Library (LFL) was installed at the Pendelton Town Hall on December 13, 2017. The project leaders were long-time NFRC members Renney Staples and Judy Bradbury. Paul Lyons generously donated his time and carpentry skills to build the LFL. A special thank you to all involved. To find our more about the LFL project, visit the website.